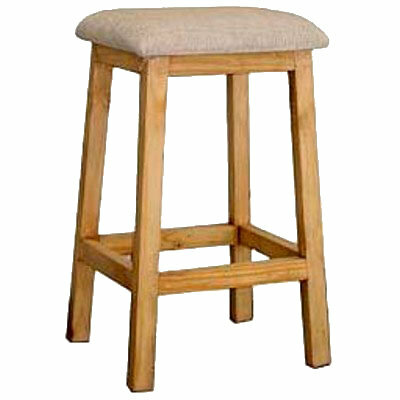 This sturdy stool is perfect for multiple uses around your Mexican villa or Mexico rental property. Choose the perfect fabric top to co-ordinate it with the other furnishings in your Mexican dream home. Perfect to convert a kitchen counter into your breakfast nook, great next to your bar, and quite versatile when you need to find additional seating at a moment's notice for unexpected guests. At this low price, you can afford to have several on hand in the finish of your choice to accommodate guests, spruce up your Mexican kitchen, add on to a Mexican bar, or complement your Mexico patio furniture.